For a city so full of ghosts, Cape Town, South Africa, surprisingly never feels haunted. This is, after all, a place where the doors to the symbol of its darkest history, Robben Island prison, are flung open to the world by former prisoners and guards alike. And a year and a half after his death the island’s most famous former prisoner, modern founding father Nelson Mandela, is ever present. In America, “Washington slept here” signs abound; in Cape Town, Mandela is here, everywhere, constantly present in artwork, tributes, t-shirts and on the lips of its citizens. Chaka Chaka’s point was illustrated a few hours later, when local legend Sipho “Hotstix” Mabuse managed to pack the hangar-sized “Kippies” mainstage with a worshipful throng that echoed every word he sang when not simply losing themselves in his infectious township jive, with wild abandon not uncommon in the massive crowd-which, as Mabuse pointed out, included another local boy made good, film composer Trevor Jones. The audience’s fevered reaction to his rendition of Bob Marley’s “Redemption Song” was enough to make one doubt that the song was not originally his. Mabuse was back onstage one set later as a special guest of the female vocal group Mahotella Queens, who were celebrating their 50th anniversary. The lead trio includes two of the band’s original members, now in their 70s, who still maintain the group’s athletic choreography. 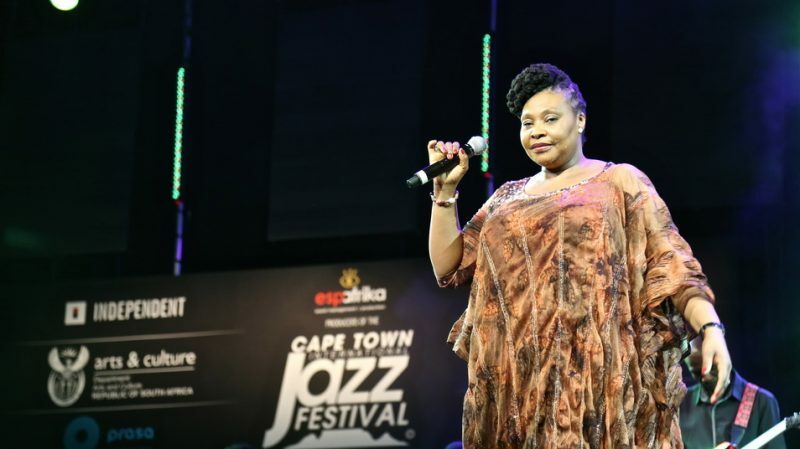 While acknowledging their own longevity, lead singer Hilda Tloubatla conjured the spirits of those not present, paying homage to the late Miriam Makeba. Another fallen favorite, tenor saxophonist Winston “Mankunku” Ngozi, was honored more than once on the more intimate “Rosies” stage. 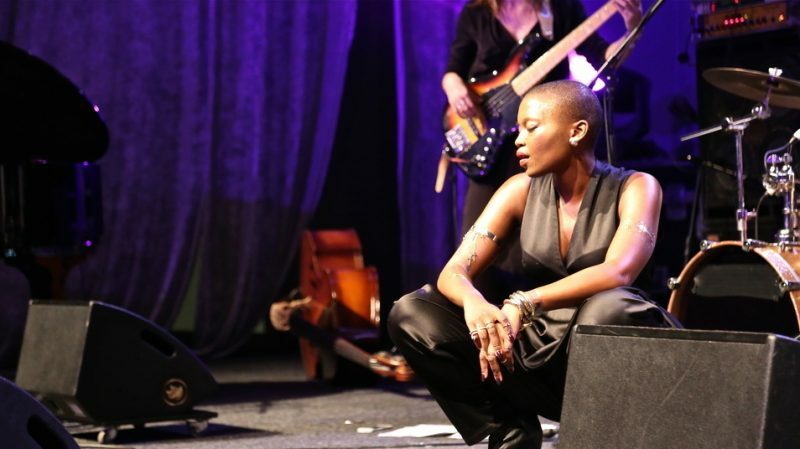 Ngozi’s music was the focus of a set led by his longtime collaborator, pianist Mike Perry, featuring a band of veterans. 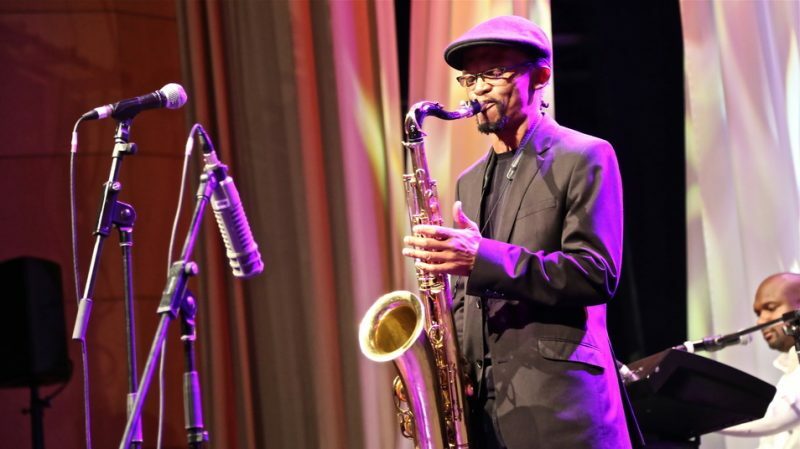 The saxophonist, who passed in 2009, was also eulogized by a protégé, singer Gavin Minter. 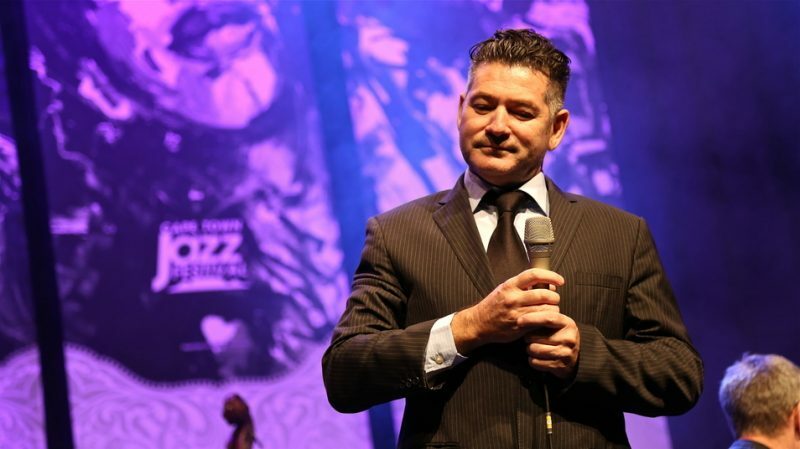 While most of his set featured familiar standards approached with Sinatra-style cool, Minter turned in a more impassioned performance to reprise a song he’d performed at Ngozi’s funeral. 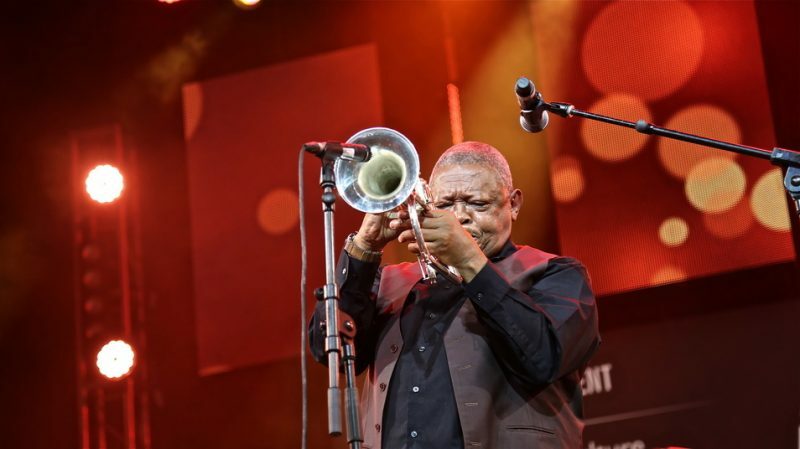 And despite the collective sigh of disappointment that came with the announcement that Zimbabwean singer-guitarist Oliver Mtukudzi was prevented from performing by travel issues, that same crowd nonetheless welcomed his co-headliner, Hugh Masekela, as a conquering hero. The flugelhornist/singer stuck to his more pop-leaning material for the hometown audience, eliciting roars of approval with every hip-swiveling shimmy. 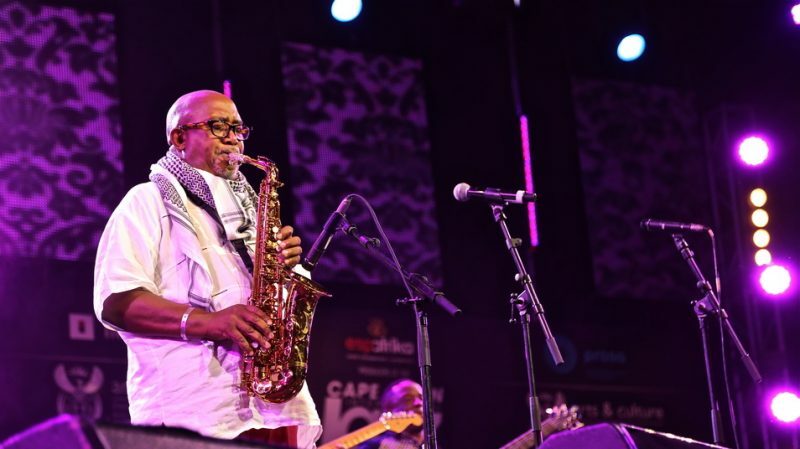 Glancing back at past line-ups of the Cape Town International Jazz Festival, it appears that in former years the mission of the festival has been in large part to bring a sense of the current jazz mainstream to South African audiences. That wasn’t the case with this year’s edition, which seemed geared more toward crowd-pleasing, with the “Jazz” in its title referring less to music than to lifestyle, an indication of a certain sense of middle-class (or middle-aged) sophistication rather than a specific genre. How else to explain the presence of ’80s pop star Basia on the mainstage, wedged in between Chaka Chaka and Mabuse, displaying a newfound love of samba along with radio hits like “New Day for You”? Or the music-school boy-band-isms of Swedish pop group Dirty Loops, or soul-leaning singer-songwriter Amel Larrieux, both of whom could be found on the outdoor “Basil ‘Manenberg’ Coetzee” stage, sandwiched dramatically between two highway overpasses? The mainstage also featured a closing set by Al Jarreau (which I missed) and a NOLA-centric performance by Dee Dee Bridgewater backed by Irvin Mayfield’s New Orleans Jazz Orchestra. The two make for a perfect match, each pairing undeniable chops with a penchant for shtick. Mayfield, whose archetypal renditions of New Orleans classics are geared to posit himself as a stay-at-home Wynton, played an eager foil for Bridgewater’s usual “saucy broad” antics. 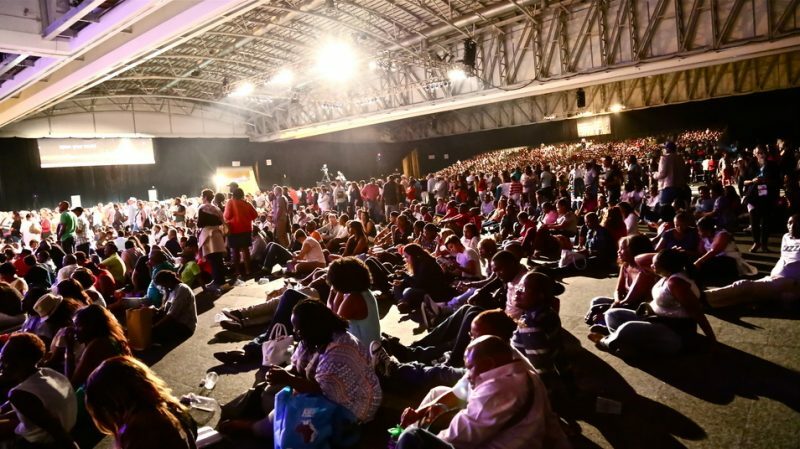 That mix of native-born grandiosity and crossover slickness was the festival’s most obvious representation, wholly taking over the main halls of the Cape Town International Convention Center. The festival was spread out over five stages, three inside the Convention Center, one just outside the mainstage, and the “Bassline” tent across the street in a vast tent, where electronic and hip-hop oriented acts were featured. That stage’s relative isolation from the remainder of the festival made it feel like the musical equivalent of a ball pit, somewhere the adults could drop the kids for the night while they enjoyed themselves inside. While the Convention Center setting made navigating the various stages fairly easy for the large crowds in attendance, it also served to divorce the festival from its surroundings, leaving no sense of the city outside. The sterile, cavernous interiors also did few favors to the sound, which tended to be muddy and indistinct as it got swallowed up by the space. The most explicitly “jazz” acts on the bill ended up inside the “Rosies” stage, a seated auditorium which came with an extra 30 Rand (a little less than three bucks) charge for tickets. The intention seemed to be to limit the traffic going in and out during the quieter acoustic sets, but the main result was to leave artists like Gerald Clayton and Wallace Roney playing to more than half-empty rooms. 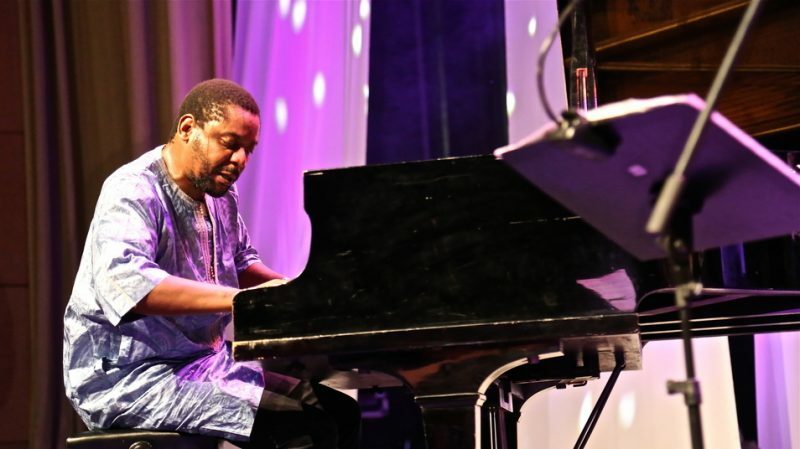 Leading his trio, Clayton nonetheless turned in one of the festival’s most satisfying sets, engaging in alternately delicate and piquant tension with drummer Obed Calvaire, with bassist Joe Sanders adding subtle insinuations. The bassist laid out for large portions of the set, posing statue-still behind his shades. 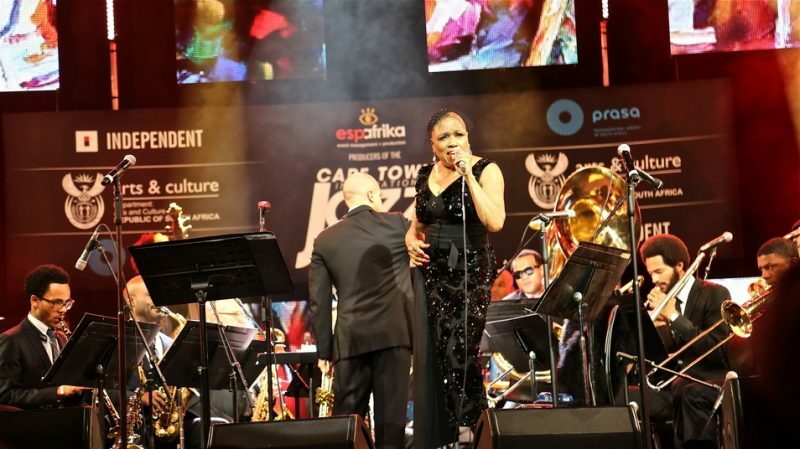 More than half of the 40-plus acts featured in the festival’s two days hailed at least in part from South Africa, which allowed visitors some glimpse into the city’s current jazz scene. 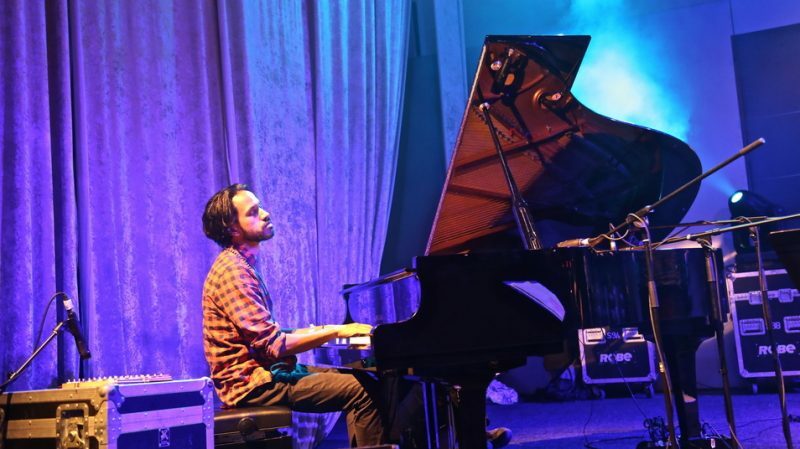 While he didn’t lead his own band during the weekend, keyboardist Kyle Shepherd proved to be a standout during two very different Saturday night sets on the more eclectic “Moses Molelekwa” stage. First he played keyboards with drummer Claude Cozens’ trio, which puts a local spin on soul-jazz with funk and prog accents. Completed by bassist Benjamin Jephta, the trio emphasizes an ecstatic muscularity in its playing, with Shepherd unspooling long, serpentine lines that race Jephta’s vigorous rumble against Cozens’ thunderous rhythms. Shepherd reappeared at the end of the night as part of bassist Carlo Mombelli’s band the Storytellers, a mesmerizing sextet centered on the leader’s electronically manipulated bass-which evokes whale sounds one moment, the echoes of one’s own pulse in their ears the next-and the heartrending vocals of Mbuso Khoza. Here, Shepherd’s playing (on piano this time) was sparse and elusive, more attuned to the overall tapestry of sound. Swedish bassist Bänz Oester’s quartet the Rainmakers was a meeting of Africa and Europe, with the leader and Swiss saxophonist Ganesh Geymeier paired with South African pianist Afrika Mkhize and drummer Ayanda Sikade for a straightahead set that placed everything from a Romanian folk tune to a Jacques Brel chanson within a ’60s hard-bop context. Meanwhile the unusual instrumentation of the quartet Sons of Kemet-saxophone, tuba, and two drummers-gave an AACM-style rethink to Afro-Caribbean jazz. 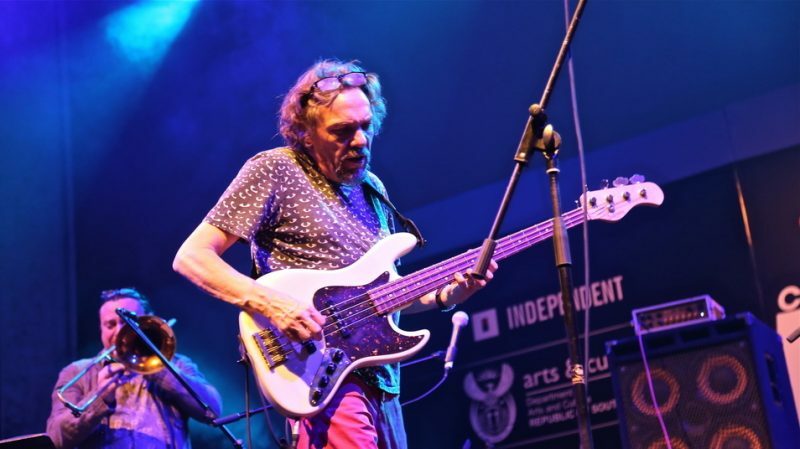 If that short list of artists-which doesn’t even include the Indian electronic jazz of Purbayan Chaterjee, Talvin Singh and Shane Cooper or the experimental soul of bassist/singer Thundercat-seems head-scratchingly uncategorizable, it reflects a certain vagueness in the identity of the Cape Town Festival. While diversity is to be commended, the disconnect between the various stages results in a lack of focus. 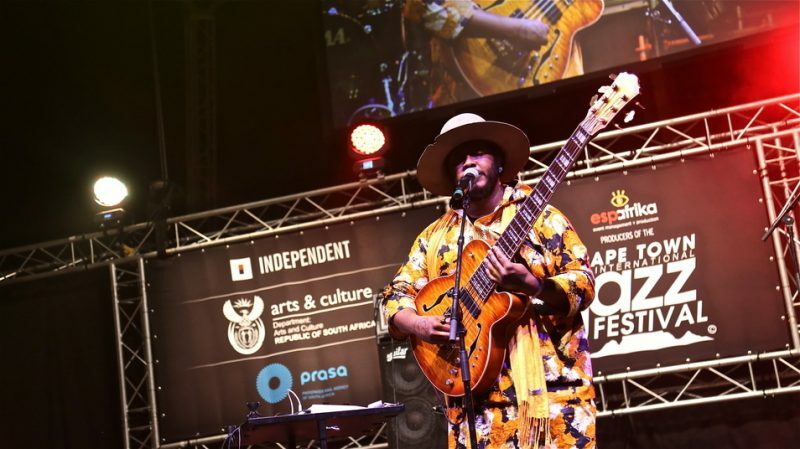 The festival could only be helped by maintaining its embrace of multiple genres while deciding whether it wants to be a showcase for South African music, a festive weekend for local audiences or a survey of big-tent jazz.